Continental Office is a company that creates work spaces that suits their clients needs. They help companies with furniture, floors, walls, and branding. They are experts in creating the perfect work space that will truly inspire their clients and meet all their needs. Continental Office wants to be able to easily share their newly created informational video on their website to all their target clients. It has to be a sleek and modern product that will represent their brand. The ideal product would be something that’s easy for their clients to keep and use. They also want to know more about their clients and how they are interacting with their site and have different analytics data. The WebUSB is the perfect product for Continental Office’s needs. 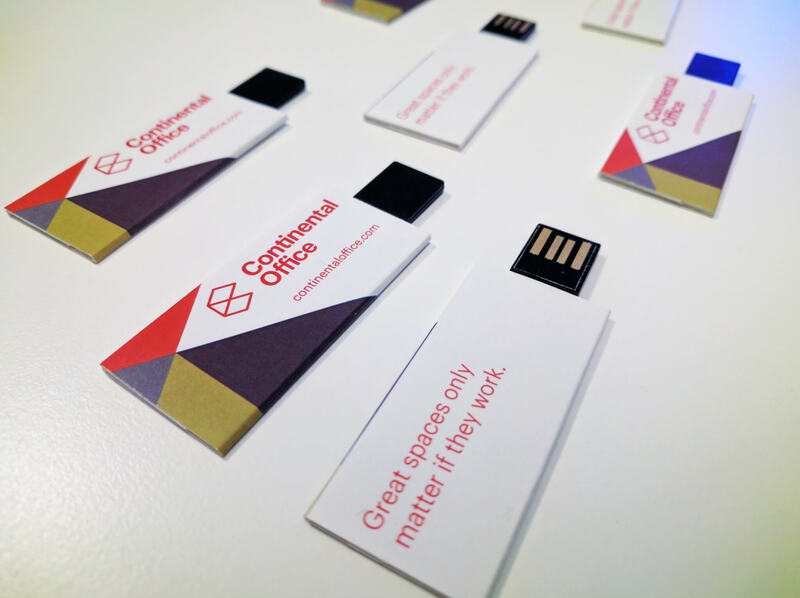 These are custom printed USB webkeys that can link directly to a specific website or any URL. This product is only 2 mm thick and can be added to other promotional materials. It can be fitted with magnets so you can stick it to metallic surfaces. It’s thin enough to put on a greeting card that you can mail. We can also create a WebUSB business card so you can make your business cards stand out and contain more information. It can be used on both Windows and Mac operating systems. When the WebUSB is plugged into a computer it automatically loads the intended content. The WebUSB can be loaded with different types of links. It can be a link to your site, an online brochure, a music track, a zip file, or an online video. It’s very easy to use and you can put out any content that you want. It’s also very easy for people to use since you just plug it in any computer and the content will load. The WebUSB also has Analytics features that lets you see the number of pageviews, bounce rate, and average time on page, among others.